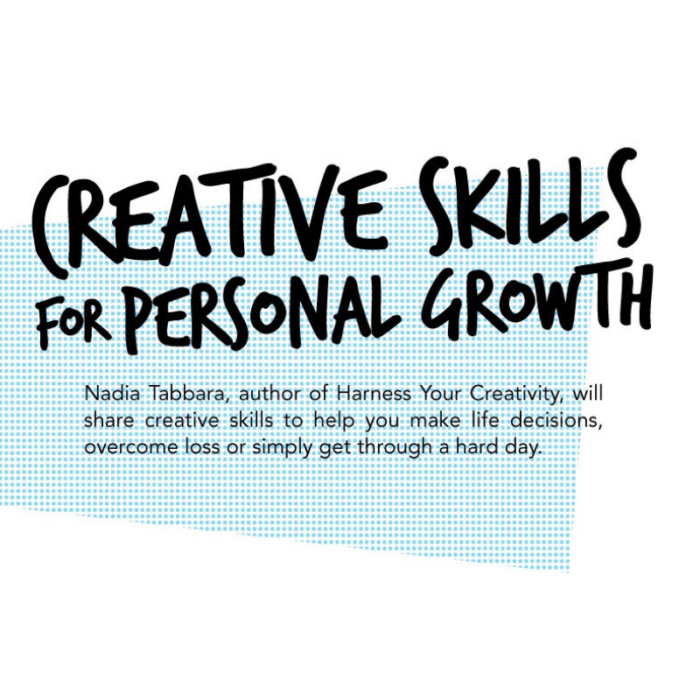 Nadia Tabbara, author of Harness Your Creativity, will be at Beit Insan in Hamra for a discussion on the healing effects of creativity and how she used it to figure out challenges in life and at work. She’ll talk about how accepting and nurturing her own creative process (and later encouraging others to figure out their own creativity) helped her grow as a person and become more self-aware. She will share her experiences on moments in life when creative skills helped her make big life decisions, overcome loss or simply get through a hard day. Who should attend this talk and book-signing? Creativity isn’t just used to create pieces of art – it’s also a needed skill for self-awareness and personal growth. We encourage you to join us if you want to listen and potentially share challenges you have, if you’d like to gain tips and creativity skills that can be used as coping tools or, if you simply want to meet like-minded people. Beit Insan is a wonderful space providing accessible wellness services to those in need. It is run by professional and highly trained wellness practitioners. I am neither of those things. I’m simply someone who has used the creative process to write stories, build a business and even, discover more about myself and grow as a person. This creative process (and later my methodology) has helped me deal with my own daily struggles and mental health issues. Once I saw this potential for personal growth, I wanted to share it with others! That’s what this talk is about. Going strong for the second year running, Writing Day is the first and only networking event for professional and aspiring creative writers in Lebanon! 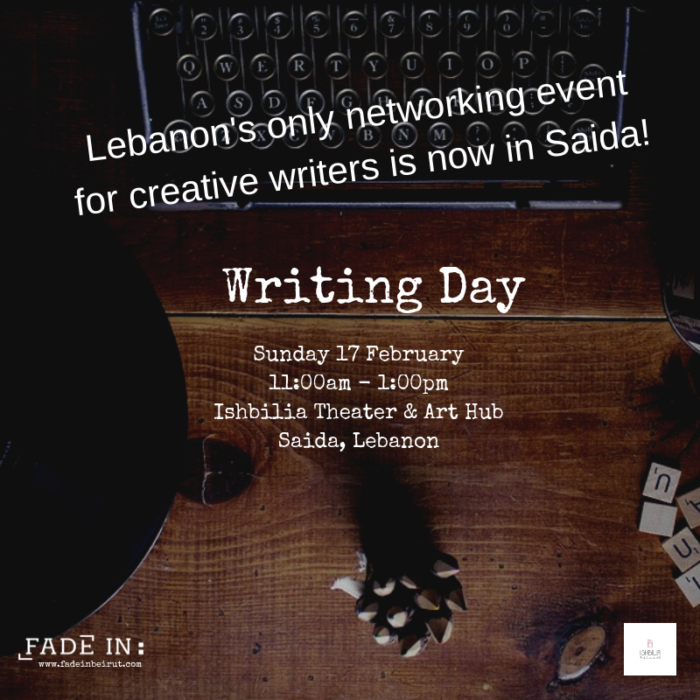 WRITING DAY is coming to Saida! Join us for a very special edition of Lebanon’s only networking event for creative writers! What do we do at WRITING DAY? We talk writing. We read about it. We live it. We drink it. We write. And write again. We meet other writers and we really connect on a creative level. 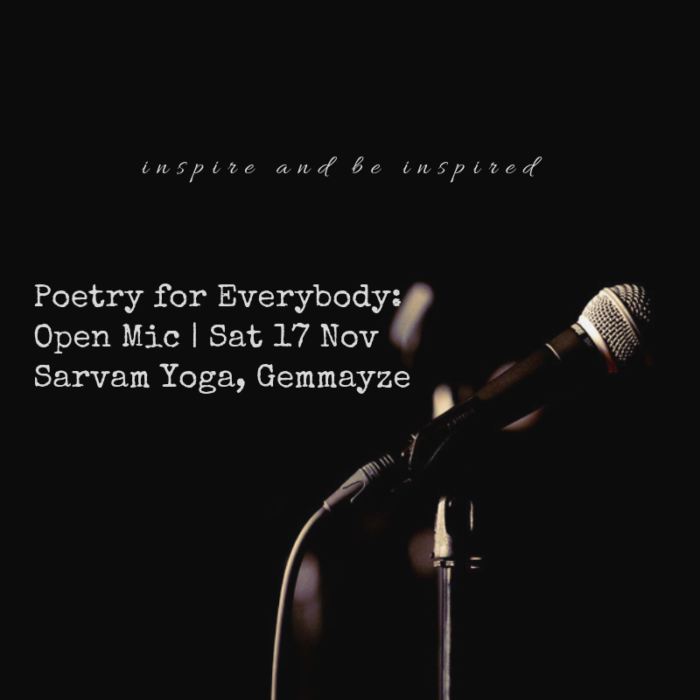 Come be part of our growing creative community. – Those who are curious – can I write? – Those who wonder, will this help me write better at work? Just bring a notebook, a pen, and an easy-going attitude (if you’re working on a project, go ahead and bring your laptop). You will be surrounded by like-minded writers from all over Saida at Ishbilia Theatre and Art-Hub, a perfect place to get inspired. Your host Lara El Mekkawi will give an opening talk about working in publishing, writing, editing and the joys and pains of all those things. She will introduce you to our favorite writing exercise so that everyone can get the pen moving! Keep in mind, we have amazing workshops, seminars, coaching sessions … but WRITING DAY is not a structured class. It’s an informal gathering and it’s a lot of fun!